Newport has been hit pretty hard with rain in the last few days, and while tomorrow won’t be dry, it will only be about a half-inch of rain, with Tuesday even lighter. But the winds, peaking at 20mph sustained speeds, will continue all day Monday, and finally die down on Tuesday. If you are experiencing flooding, you can pick up sandbags from the City Corporation Yard located at 592 Superior Avenue. Each resident is entitled to 10 free sandbags, and they are always available one day before a storm, between the hours of 7am and 4pm. You can always call the Municipal Operations Department at 949-644-3055 to confirm availability– they are currently closed, but keep this information handy for the next big storm which will surely happen soon enough! 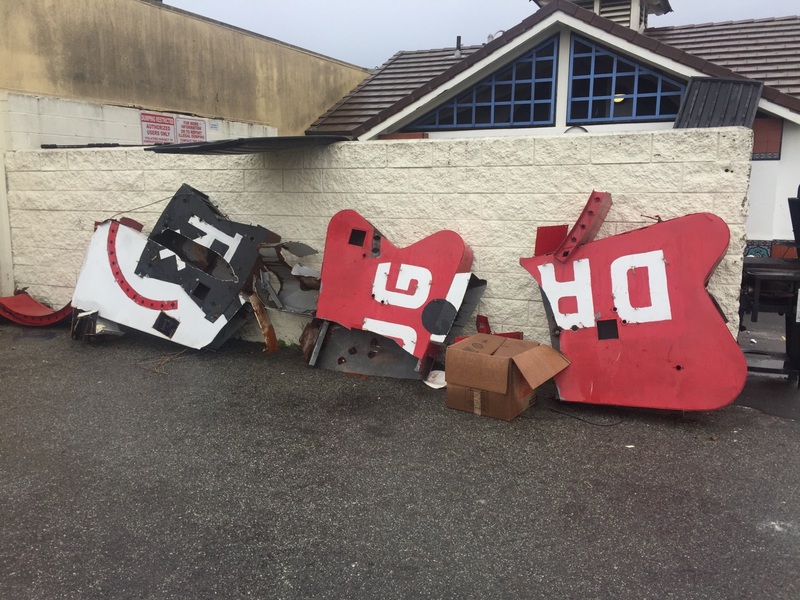 These winds also brought destruction to the Balboa Pharmacy, which sadly lost their sign that was at least 65 years old. And the most obvious damage of the storms so far: Fallen trees and debris. These littered the roads in CdM, Newport Heights, and the Shores, causing traffic pileups but thankfully no reported injuries. As Newport doesn’t usually get much wind, dead and weak branches weigh down the trees until large gusts come, which can snap off even healthy branches due to the dead weight they are carrying.